This book is intended to give students a basic understanding of nutritional information and labelling in the baking industry. In particular, there is a focus on Canadian regulations regarding labelling and merchandising of baked goods, as well as baking for customers with special diets, allergies, and intolerances. 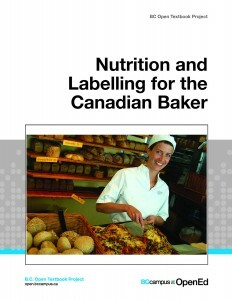 Nutrition and Labelling for the Canadian Baker is one of a series of Culinary Arts books developed to support the training of students and apprentices in British Columbia’s food service and hospitality industry. Although created with the Professional Cook and Baker programs in mind, these have been designed as a modular series, and therefore can be used to support a wide variety of programs that offer training in food service skills. 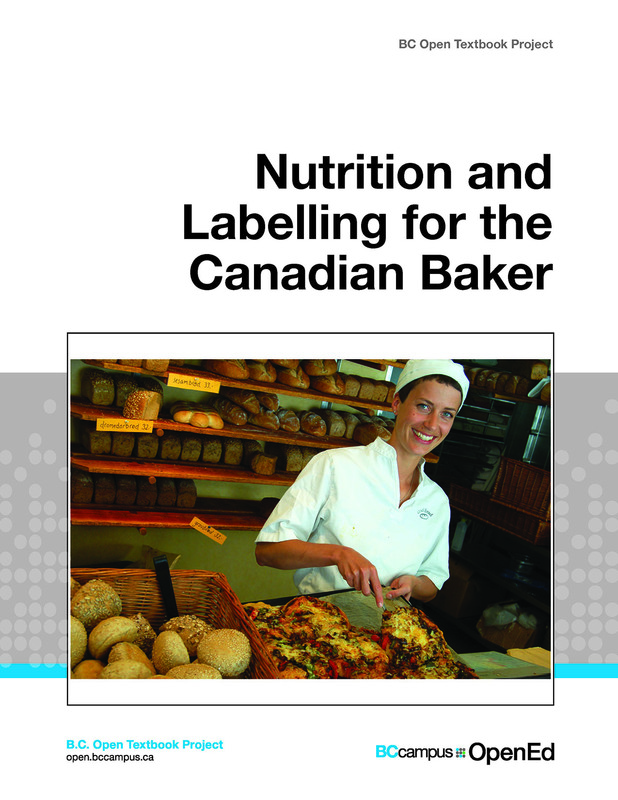 Nutrition and Labelling for the Canadian Baker is one of a series of Culinary Arts books developed to support the training of students and apprentices in British Columbia’s food service and hospitality industry. Although created with the Professional Cook and Baker programs in mind, these have been designed as a modular series, and therefore can be used to support a wide variety of programs that offer training in food service skills. The series has been developed collaboratively with participation from public and private postsecondary institutions. The text was authored by the BC Cook Articulation Committee and go2HR and is released with a CC-BY open license. Authors: The BC Cook Articulation Committee and go2HR. This book is now available in the BC Open Textbook collection.